Northern lights: Nature’s own rhythms. Where on earth are the top places to see the northern lights? The locals who grew up with the magic, reveal their secret spots and viewpoints. Witnessing the aurora borealis is an unforgettable experience. Start planning your northern lights winter holiday in Northern Norway by checking out special offers on trips, tours, flights, cruises and hotels. There are many ways to travel to Northern Norway. Enjoy a cruise or catch a plane – whatever way of travelling you prefer, the somewhat distant kingdom of the northern lights is easily accessible. Check out the destinations below and read about their campaign offers. 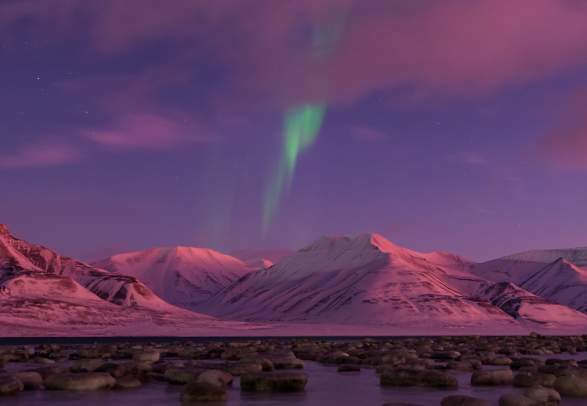 To experience the unbelievable colours that moves across the Arctic sky is on many travellers’ bucket list. Few places on earth offer more ways to witness the aurora borealis than Norway. Our bold claim is that Northern Norway is amongst the most comfortable and interesting places to see the northern lights, as hundreds of thousands of people live in this huge geographical area. The region offers a vast selection of activities, tours, cruises, restaurants and hotels, which all play an important part in the Arctic experience. Some media have reported that scientists expect the aurora to fade and appear less frequently over the next ten years. This is not true for Northern Norway though, as scientist Truls Lynne Hansen at the Tromsø Geophysical Observatory explains: “we are past the northern lights climax which means there will be fewer observations around Oslo and further south. But under the auroral oval in Northern Norway, we will not see any difference”. What are the northern lights? On a very basic level, the northern lights are quite simple to explain. It is created from a collision between electrically charged particles from the sun that enter the atmosphere of the earth. The lights come at night when the sky is dark. It’s like a celestial ballet of light dancing across the night sky, with a colour palette (green, pink, violet) reminiscent of a really cool fashion show from the 1980s. Between late September and late March, it is dark from early afternoon until late morning. This is the best time to see the northern lights. Install the NorwayLights app for iPhone, Android or Windows – a forecast that helps you find the best time and place to see the northern lights. The story about the Aurora Borealis involves both the science and the myths behind what causes this extraordinary natural phenomenon that appears as light display in the sky. Get the most out of your Arctic experience with these tips and tricks for staying warm and capturing the perfect aurora image. Thousands of miles from home, an A-list American producer found music in the quiet, Arctic night under the northern lights. Here is his music for Norway. 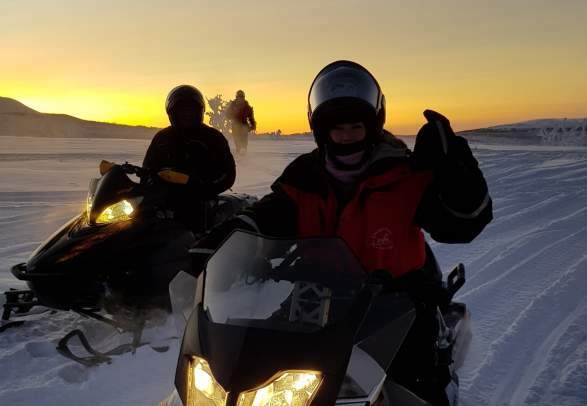 Looking for an Arctic adventure? You’ll find it in Northern Norway. Here’s a glimpse into the Arctic north in winter. 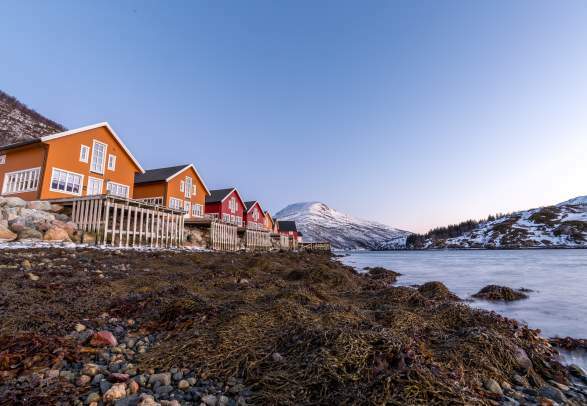 Hungry for a taste of Arctic Norway? Here’s a serving of the region’s deliciously diverse culinary culture. Filter your search and check out the offers below. Instead of watching the northern lights from the ground, NASA offers a different perspective on this natural wonder, thanks to a film with incredible images.